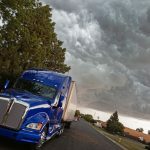 Home » How Prepared Are You For A Dangerous Hazmat Incident? Anything that’s explosive, flammable, combustible, poisonous, or radioactive is considered a hazardous material. 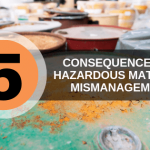 Hazardous materials can come in the form of liquids, electronics, and even batteries. Each of these materials can be dangerous if released or used unsafely. But hazardous waste doesn’t need to be dumped somewhere to pose a threat. In fact, during Hurricane Harvey, all it took was a power outage at the Arkema chemical plant in Crosby, Texas to create a dangerous hazmat incident. Just one worst-case scenario at a chemical plant could impact 10,000 to a million people. So how do you prepare for a hazmat incident before one happens? Every person at your organization needs to have a hazmat certification to be working with hazardous materials. But that certification doesn’t mean you don’t need an emergency response plan in place. Create a list of best practices for before, during, and after a hazmat incident. You want to start by taking advance precautions and communication safety precautions to residents that are at risk in the area. Keep in mind that your emergency response plan will change depending on the specifics of the situation at hand. There are different protocols for different incidents. Remembering key details about these protocols can be challenging during a stressful emergency situation. That said, after you’ve made an emergency response plan, create a cheat sheet for that same plan. Make these plans easy to understand and easily accessible and available to everyone at your organization. Communication is crucial during a hazmat incident. It might not seem important right now to prepare and share an emergency response plan because there isn’t one imminent. But you can never be sure when a hazmat incident can arise. Develop not only an emergency response plan but also a plan to get the word out about the incident to your employees and the residents living near the plant. The more prepared you are in case of a disaster, the better. Looking for hazmat training courses online? Flammable liquids are the most transported hazmat in the United States. Before you can start working with hazardous materials, even shipping them, it’s required that you first get a DOT hazmat certification. 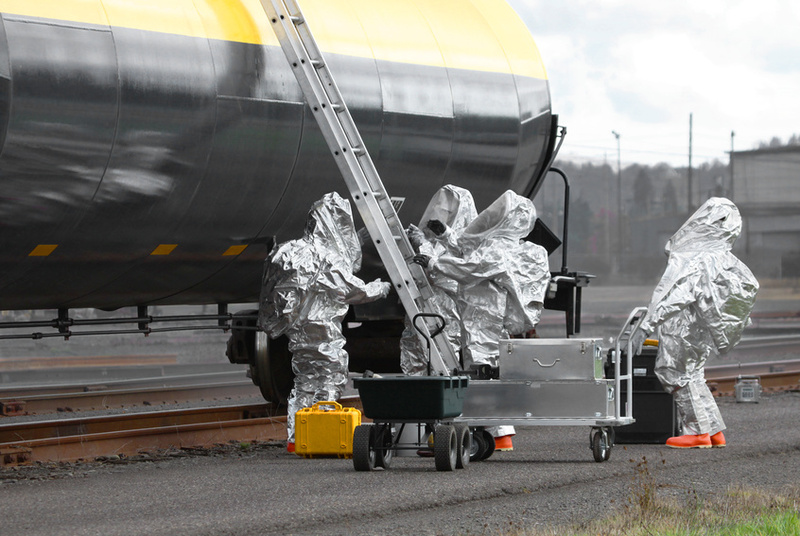 Hazmat training courses ensure that you’re prepared in case of a hazmat emergency. 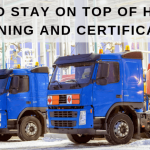 Hazmat School offers hazmat training courses online so you can receive your required training for shipping hazmat materials at your own pace in your own home. To learn more about our online hazardous waste management certifications, contact Hazmat School today.